Mechanical integrity and equipment deficiencies are frequently cited in OSHA inspections. In this blog series, we will cover the mechanical integrity shortcomings that are most commonly cited in third-party Process Safety Management (PSM) audits. By paying attention to these common mistakes, you can avoid mechanical integrity citations in PSM audits. Some facilities take the attitude that “anything in the fence line we consider a part of PSM.” The problem with this is that once such a policy is formally stated, regulatory inspectors must take the policy at face value. That means that non-process equipment, which has no potential to cause or contribute to an uncontrolled release of hazardous chemicals, must be treated the same as equipment that can cause such a release. This can lead to absurdities such as an inspector asking to see the PHA on a potable water or sanitary sewer system. To reduce the amount of paperwork required, most owners use a consistent philosophy in determining what systems belong in their PSM program and what systems don’t. One typical means of identifying PSM-covered equipment is the “two valve rule,” which states that any piping that is physically connected to the hazardous chemical piping or vessels remains a part of the PSM-covered process until isolated by two manual block valves. The PSM-covered equipment should be clearly identified and segregated from non-PSM-covered equipment. The usual way of identifying this is to use a set of Piping and Instrument diagrams (P&IDs) with the PSM-covered equipment highlighted. Additionally, a written record of what method was used to identify the equipment should be a part of the site Process Safety Information (PSI). Safety-critical equipment such as pressure relief valves, rupture discs, vent headers, and flare headers will not function if isolated by manual block valves. To ensure safe operation, most such manual block valves are either chained/locked or carsealed in their operational positions. This prevents the equipment from operating is a valve is not in the correct position. To be effective, a carseal program must be regularly verified, documented, and audited. Any carseal found broken, or any safety-critical manual valve found in an improper position should be treated as a PSM-Near-Miss. A full PSM investigation should be held to determine what happened, why it happened, and what should be done to prevent the situation from happening again. Carseal programs that are not given this level of attention are usually not effective. 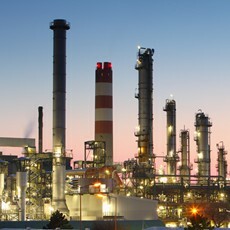 Audits usually reveal some percentage of pressure vessel, tank, instrument, and rotating equipment inspections overdue. When an inspection must be delayed, a Management of Change (MOC) procedure should be instigated to determine what, if any, additional safeguards are required in the interval between the original inspection due date and the time of the delayed inspection. If overdue inspections are a continuing problem, a formal root cause analysis should be performed to determine why. Additional resources may be required to catch up on the inspection program. In some cases, a risk analysis can be used to determine which, if any, inspections can be modified (via MOC) to safely increase the inspection intervals. In our next blog post, we will cover additional common mistakes to avoid. Subscribe to the blog so you don't miss the subsequent articles.